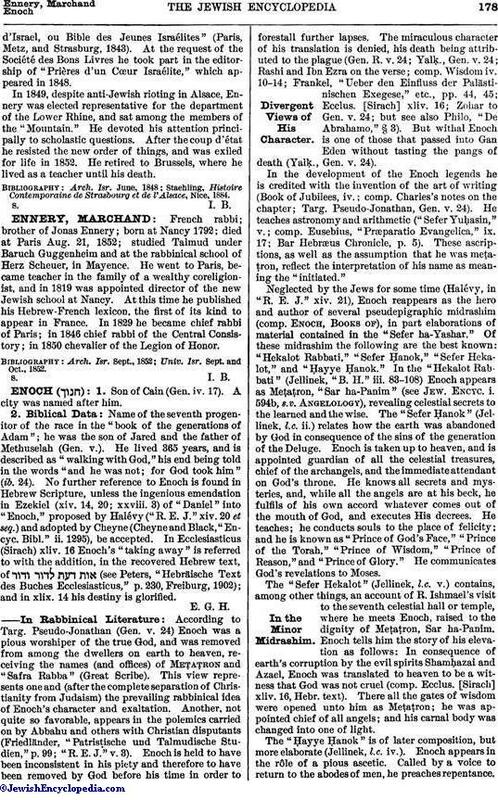 French rabbi; brother of Jonas Ennery; born at Nancy 1792; died at Paris Aug. 21, 1852; studied Talmud under Baruch Guggenheim and at the rabbinical school of Herz Scheuer, in Mayence. He went to Paris, became teacher in the family of a wealthy coreligionist, and in 1819 was appointed director of the new Jewish school at Nancy. At this time he published his Hebrew-French lexicon, the first of its kind to appear in France. In 1829 he became chief rabbi of Paris; in 1846 chief rabbi of the Central Consistory; in 1850 chevalier of the Legion of Honor. Univ. Isr. Sept. and Oct., 1852.